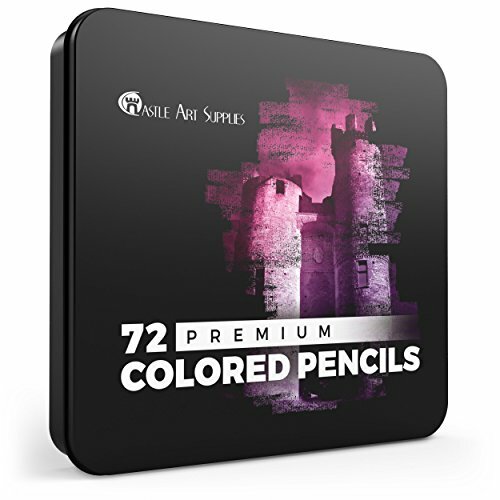 ‘NEW AND IMPROVED’ ARTIST QUALITY colored pencils that rival the leading brands for color selection, high pigment content and value for money. 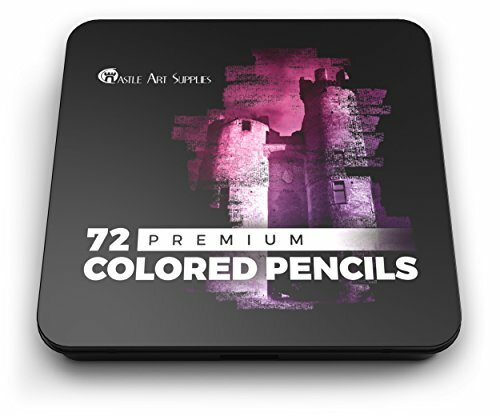 QUALITY AND AFFORDABILITY – once again Castle Art Supplies deliver exceptional value with 72 vibrant colors, neatly packaged in a stunning presentation tin box ideal for budding artists, school supplies and professionals. LUXURIOUS ‘SOFT SERIES’ for ultimate blending, shading and layering. We listened to your feedback and developed these extra smooth pencils for improved performance. COLOR HAPPINESS GUARANTEE always confident to stand behind our brand, Castle Art Supplies offer a ‘Color Happiness Guarantee’ – if you’re not happy we will replace or refund. A very nice set My daughter would kill for this!!! Maybe santa will get it!! I personally do not color but I know a few adults that do and they have this and love them. 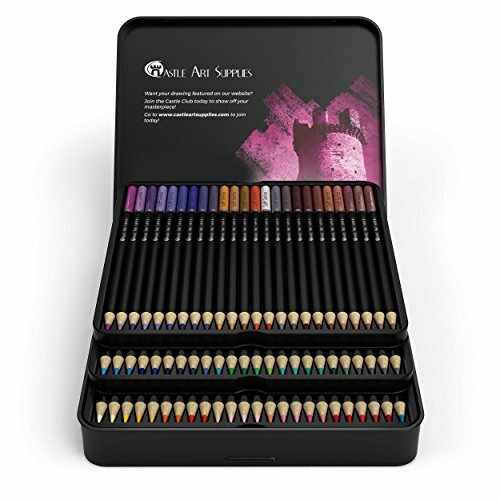 They are easily organized and are premium vibrant colors. 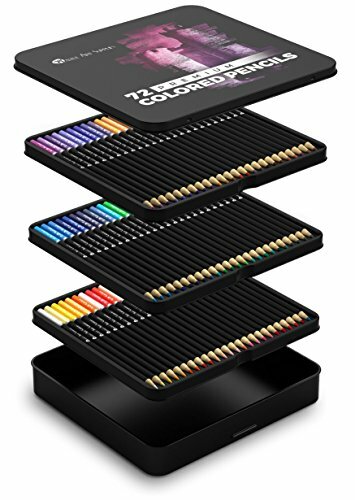 They are sharpened easy also and do not break as easy as some of the other colored pencils on the market. 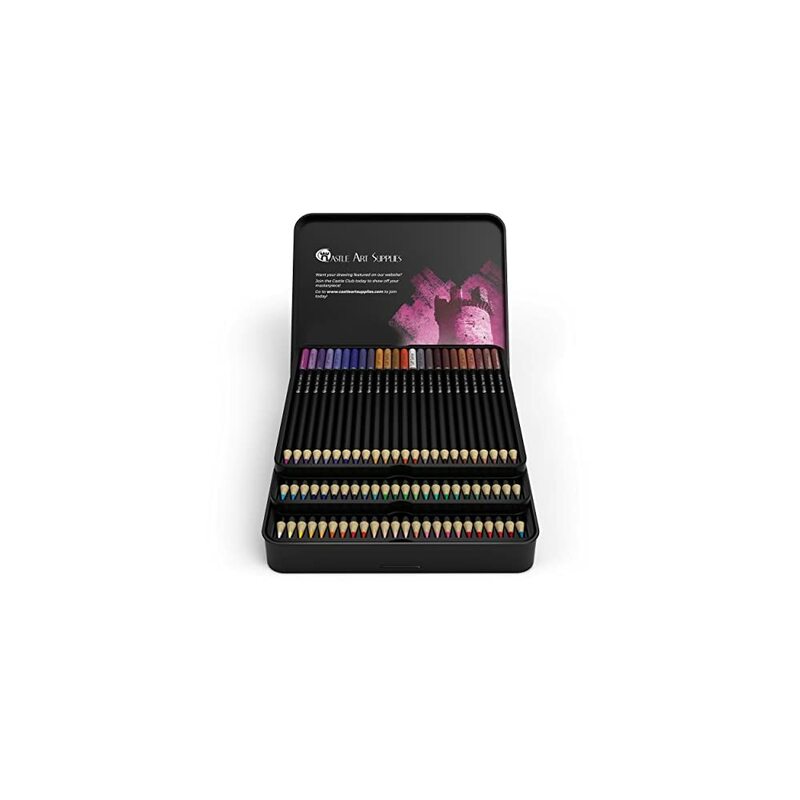 This is an exceptional value for the quality of these pencils! 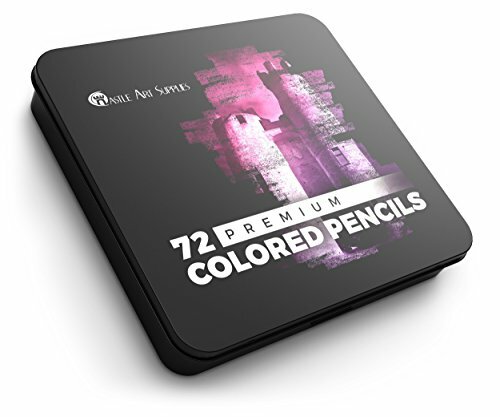 Very nice set of premium colored pencils that are perfect for sketching, coloring, drawing or doodling. 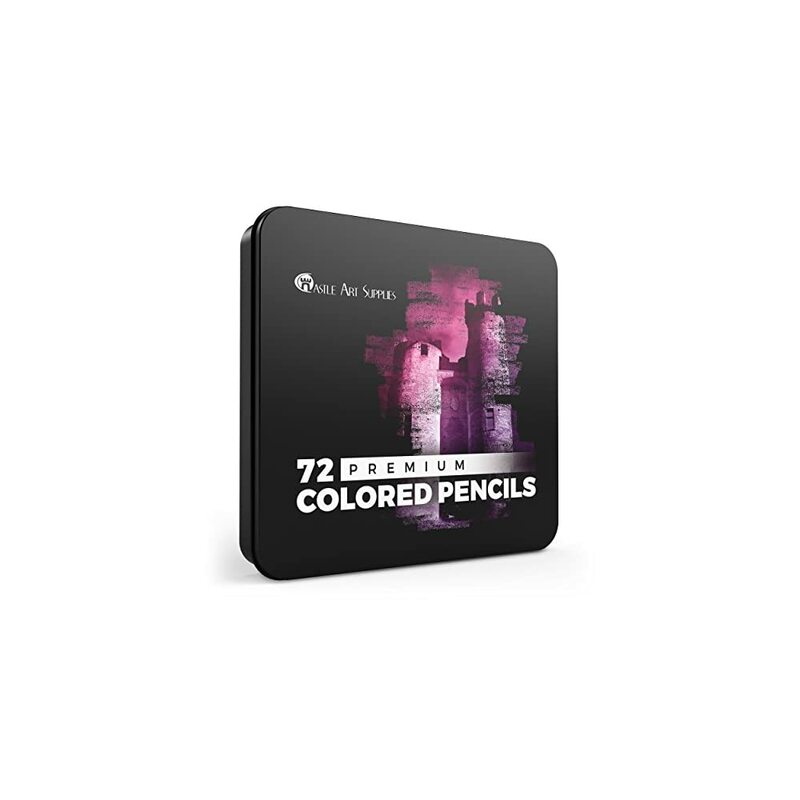 72 pigment rich colors — soft lead that is good for blending, shading and layering. Come packaged in a tin storage box.